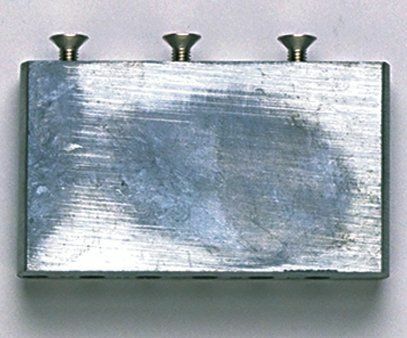 Zinc Tremolo Block for Vintage Style Stratocaster® Tremolo, with Screws. 2-3/16" string spacing. 3 x 0.5 x 1.68 inches.